Plenty of people hear about foods like milk that, in addition to their medication, can help ease pain from an ulcer, but what other of your favorite foods might also soothe the pain? 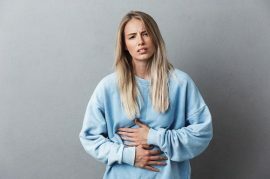 Many ulcers aren’t directly the result of stress but the result of a bacterium called Helicobacter pylori—hence why they’re treated often with antibiotics as well as acid suppressors. 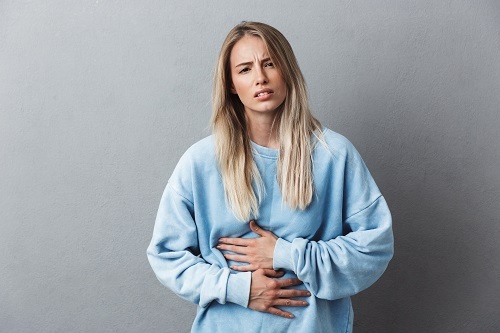 If you’re curious about foods that may help with ulcer pain and the bacteria that come with them, then you should check out the quick list below. The long-favorite dairy food is said to contain a number of “good bacteria” with the ability to hinder H. pylori, thereby helping ulcers to heal at a faster rate. A Swedish study concluded that that individuals who consumed fermented milk products, including yogurt, three times per week at least were less likely to develop ulcers when compared to individuals who ate these products less often. Try consuming one yogurt or a similar fermented milk product that contains active, live cultures once per day at least, but avoid less effective sweetened varieties. There are those who say Manuka honey can allegedly fight bacteria, with a few hospitals and vet clinics even using it for burns and open wounds. Some New Zealand researchers have even stated the nectar from Manuka flowers could help inhibit the growth of H. pylori bacteria. If you find yourself suffering from ulcer pain and want something alongside your meds, try starting with one tablespoon of raw Manuka honey when you wake up and then later when you go to bed. You can spread it onto crackers or toast as well to keep the honey in your stomach longer. Whether it’s cauliflower, kale, or broccoli, cruciferous vegetables can help in preventing ulcers because they have sulforaphane, which is a compound seemingly able to fight H. pylori bacteria. Several studies on mice indicated that a sulforaphane extract can destroy these bacteria successfully in a mouse’s digestive tract. If you have ongoing ulcer pain, you might consider having a cup of cooked or raw broccoli per day. Not only does the broccoli potentially help with the ulcer, but it also provides you with generous amounts of fiber and more than your daily dose of vitamin C.
It’s believed that glutamine, an amino acid, is what gives cabbage such a strong anti-ulcer power punch. Glutamine can help fortify the gut’s mucosal lining and improve the flow of blood to your stomach, meaning it can speed up existing sores’ healing in addition to preventing them in the first place. You can try adding cabbage to coleslaw, wraps, or salads or drinking freshly made cabbage juice to help with ulcer pain. Want to give Manuka honey a try? To get your order started, click here. And, remember, we offer FREE shipping on all orders of $150 or more. Manuka Honey Makes a Great Sugar SubstituteRonda Rousey Loves THIS Manuka Honey Product!